I’d like to share with you a heartwarming story of pregnancy after miscarriage. During a recent trip to Croatia one of our lovely clients gave us her happy news in person. 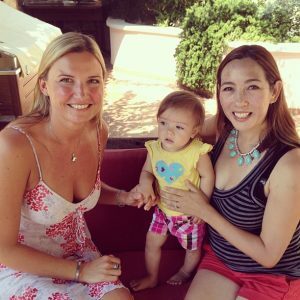 Charlene contacted us to say she’d like to do a video testimonial with her beautiful daughter Mena when she returns from her trip to Croatia! Charlene conceived Mena after following the NFP program, which she decided to use after she miscarried. Since we were both in Croatia we arranged to meet. I met Charlene, her husband Joe and their wonderful bundle of joy Mena! It was so touching to meet this beautiful family. Charlene decided to do a video with both of us and Mena in it, and here it is! In the video Charlene referred to me as a doctor, just to clarify I’m an ND – Doctor of Naturopathic Medicine and not an MD – Medical Doctor. If you’ve experienced a miscarriage and are trying to get pregnant I hope Charelene’s story gives you encouragement that a healthy pregnancy after miscarriage is achievable. Miscarriages are multifactorial and causes can range from nutritional deficiencies, chromosomal issues, poor sperm quality to immune issues, heavy metal toxicity, exposure to EM radiation, exposure to chemicals in day to day products which act as endocrine disruptors, food intolerances and thyroid problems to name just a few. Majority of causes can be treated naturally with simple dietary, lifestyle and supplementation adjustments. Look to natural treatments first and optimize you and your partners body and fertility before trying to conceive again. The minimum amount of time you should wait before trying to conceive again and prepare your body for pregnancy is 120 days. 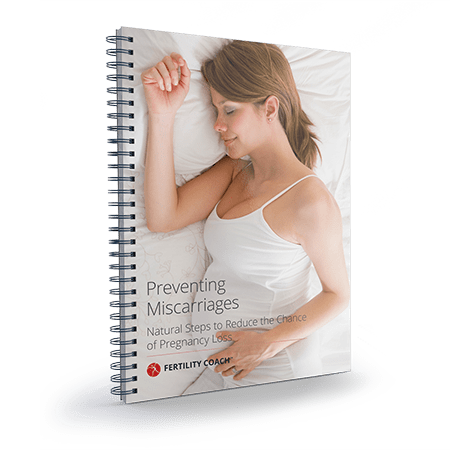 While some miscarriages are unavoidable, there are many things you can do to reduce the likelihood of suffering a miscarriage.